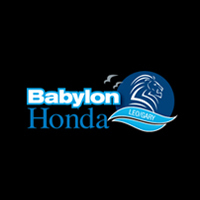 Getting the right parts for your Honda automobiles is simple and easy when you trust in Babylon Honda. We have a team of experienced honda parts professionals who can always find the parts that you need. Between our extensive inventory and our parts providers, we can make sure that you get your part as fast as possible. If you want a quote for how much that part is going to be, then you just have to fill out the form below. We will supply you with an accurate quote for all the parts that you need. We can help you out if you would like to have those parts installed at our Honda Service Center too. We can even have the cost of installation included in your parts quote. This way you can plan your car’s future with accurate information.